Posted By Roger Hogan On December 23rd 2010. Under Blog . So, your resume is successful, your skills are impressive and you are now invited to a job interview! You think that the job is already yours? Not so fast! You can spoil all the good impressions if you do something wrong! 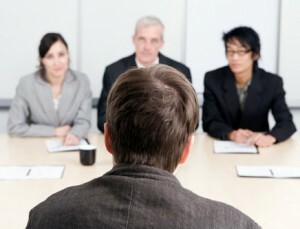 I’d like to tell you several things you should NEVER do on a job interview! Don’t wear jeans or any other informal clothes! Classical suit is the best way out! Be very careful with your clothes! They must be with no wrinkles, stains or wholes! Just imagine, what impression an untidy person will make! Don’t use any strong fragrance before the interview! That may have horrible effect on your employer! However, if your perfume may be quite nice, there are some other things you should never do BEFORE the interview! Don’t smoke! Of course, you may be nervous, but try to calm down without your favorite cigarette! And mind your breakfast before the interview! You shouldn’t eat anything containing garlic or onion. And even more, don’t drink coffee! Don’t try to flirt with your employer! Of course, s/he may be attractive, but first of all, that’s your boss! So, no flirting! At least, during the interview! Mind all the details! Don’t forget to take a pen to the job interview, borrowing one is very impolite! Turn your mobile into the mute mode! And the last things to remember about – don’t demand any salary! You still don’t have that right! And never try to argue with your boss!!! He will never hire you after that! Remember, you will make your first impression! And do your best, because they’ll never forget it! Those are simple tips, but they can sometimes really save you! « Lacking degree for the desired position? Not a problem!